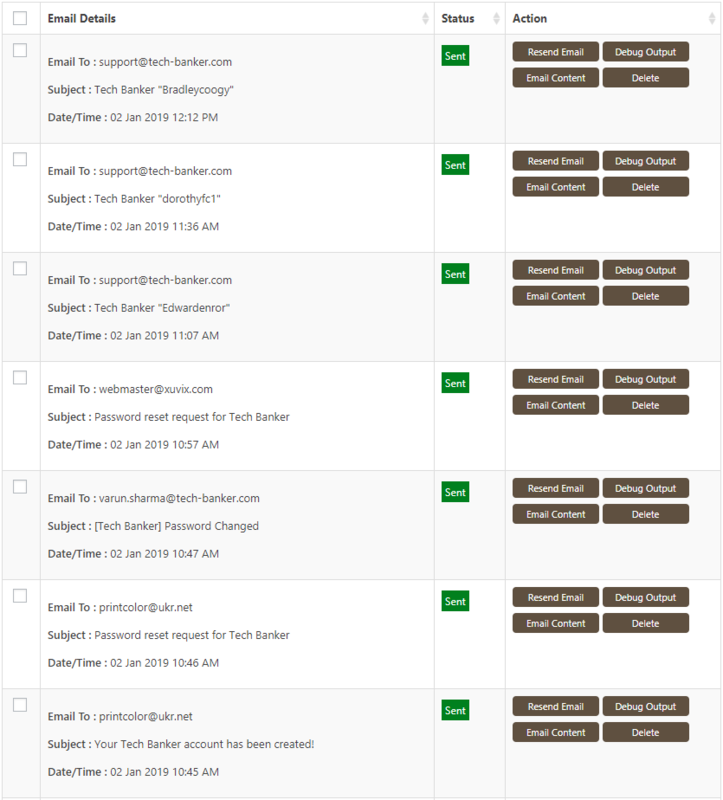 WP Mail Booster is an Easy, Lightweight, and Moderately Configurable Plugin which allows you to configure and send all outgoing emails via Gmail, Yahoo, Microsoft, and other email sending SMTP services. What WP Mail Booster can do for you? WP Mail Booster is a free SMTP plugin that provides various SMTP services in one as well as also stores your email logs data. This plugin also gives you the ability to configure your account with API details without providing password details. Email Logs provides a graphical representation of overall outgoing emails. It displays the total number of sent and failed emails according to the date. How to Configure WP Mail Booster? 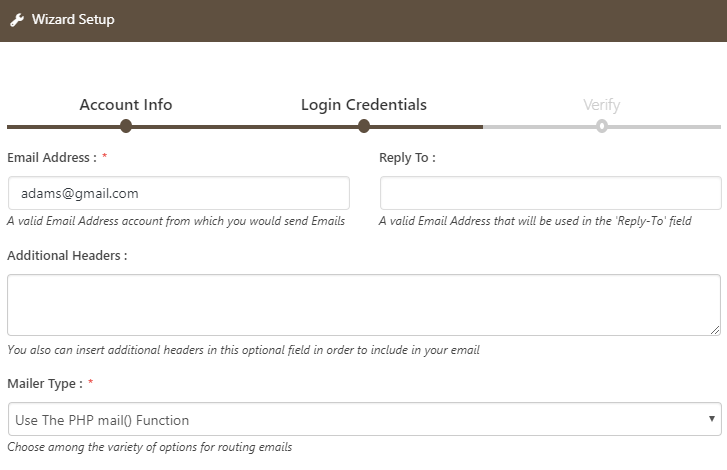 Simply go through the series of steps to configure WP Mail Booster on your website. WP Mail Booster is reliable & powerful SMTP plugin to improve the deliverability of your emails. Its simplicity in design and function makes it more secure and convenient. 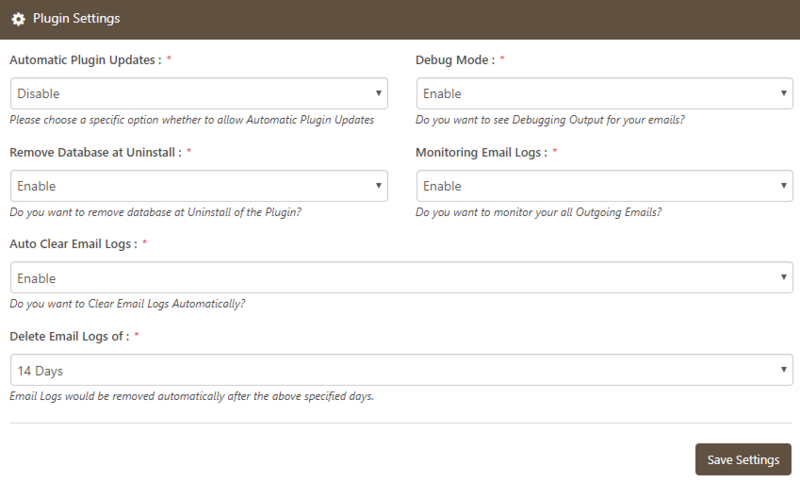 WP Mail Booster reconfigure the wp_mail() function so you can set up your own outgoing email settings. With OAuth 2.0 protocol, you have no need to store your email password in the WordPress database. WP Mail Booster provides an extra layer of security with OAuth Authentication. Using this, if you change your email account password, you won't need to update your credentials, it's a set-and-forget feature. From WP Mail Booster you have to copy redirect URI & Paste to Authorized Redirect URIs settings. 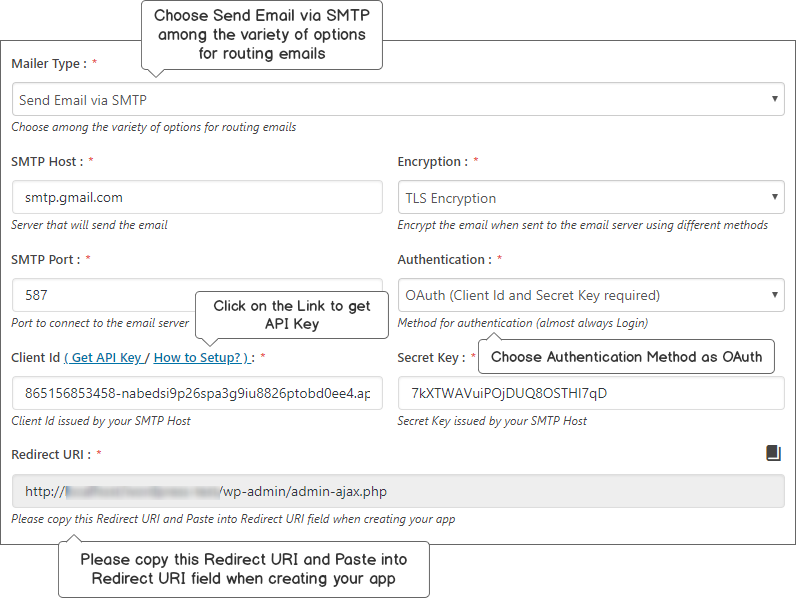 OAuth 2.0 Authentication works with Google SMTP Service. 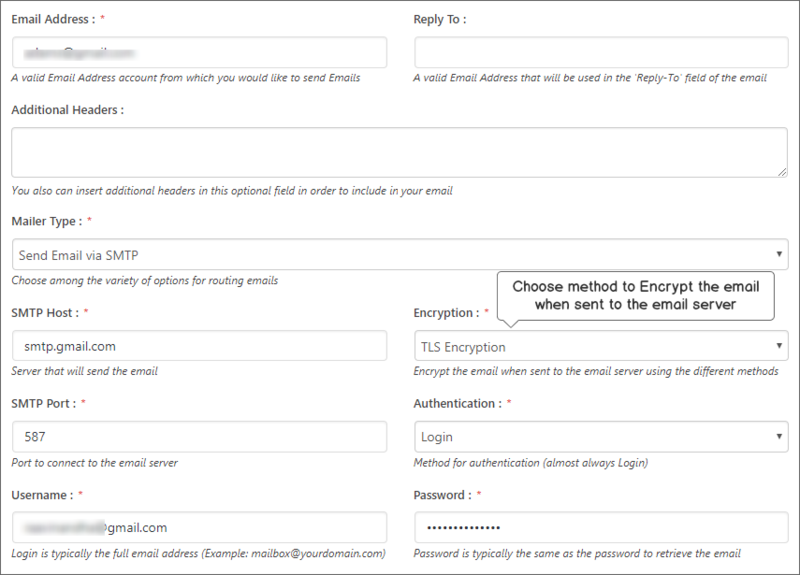 WP Mail Booster uses the different type of encryption to provide better privacy and authentication with your Mail Servers. 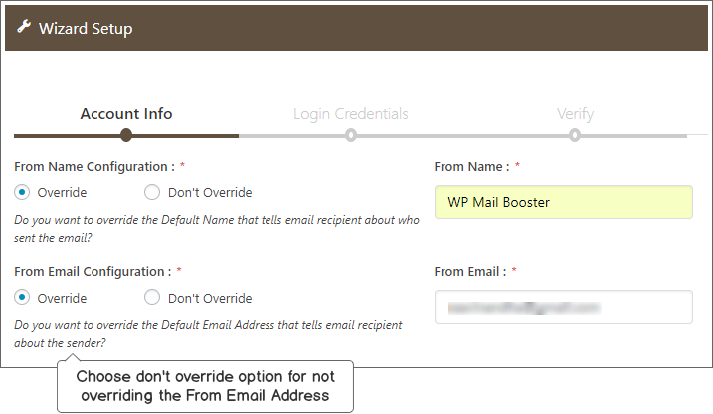 WP Mail Booster allows you to override the in-built default values of sender name and email address on outgoing emails. By overriding these default values, you can display your chosen name and email at recipient’s end. In case mail not send due to some problem, you can view the complete debug output and reveals the possible reasons of failure emails and also fixed the errors. The Debugging Output totally depends on SMTP host, different output from different hosts. 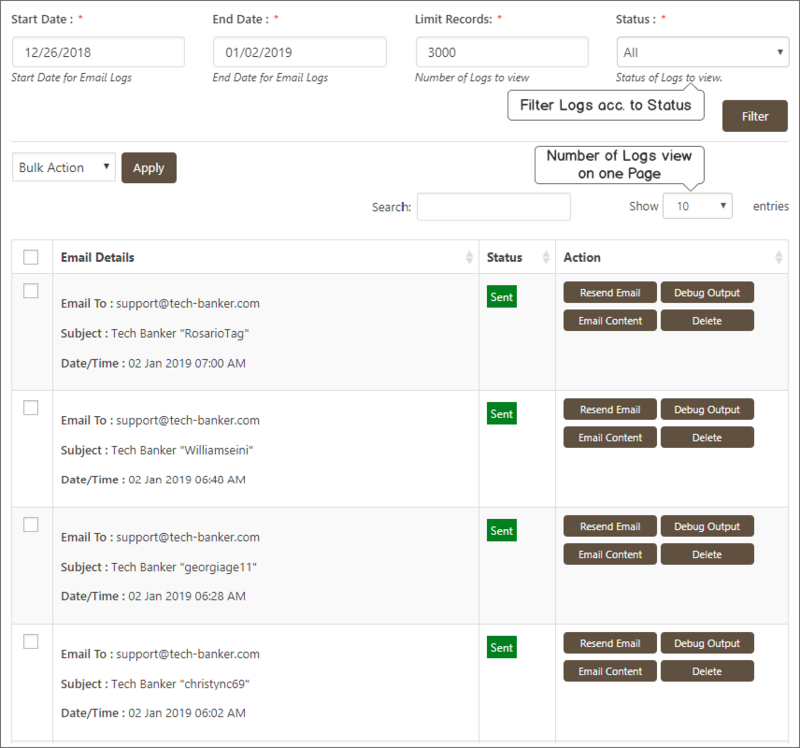 WP Mail Booster comes with an advanced feature of Email Logs. You can see the status of all outgoing emails along with its content. You don't need to worry about undelivered emails you can see the possible cause of each unsent email using the debugging output. Email Logs eliminates the worry of storing all the outgoing emails of your website. It maintains all the information of sent and failure emails. You’ll also be able to perform different action on each of the emails. This feature helps you to filter out your all outgoing mails according to date and status. You can filter all the emails in one go or filter out the total sent and not sent emails individually. Moreover, you can also specify the number of logs you want to see in one time. WP Mail Booster provides graphical statistics so that you can monitor your overall email traffic. Your email analytics are updated in real-time so that reports are always upto date. With the help of this, you can easily figure out the total no of sent and not sent emails on a particular date. This feature gives a big relief from manually delete the logs from the table. Auto Clear option delete the logs automatically after the specified days. When your mails are very precious for you then never take a risk of failed emails. WP Mail Booster comes with third-party services which act as a gateway and helps to send notification on each and every failure of emails. 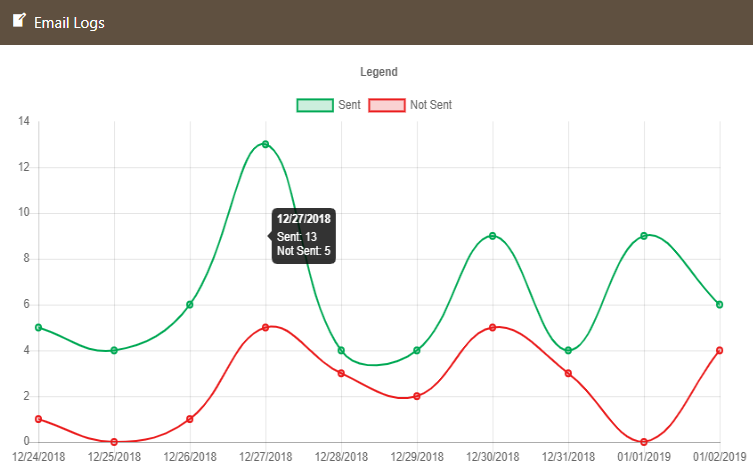 In the dashboard of your WordPress site, WP Mail Booster displays statistics widget with complete information about your Sent or Not Sent emails in the table. This widget also provides the information about the mailer type and more details that are used to configured to sent emails. 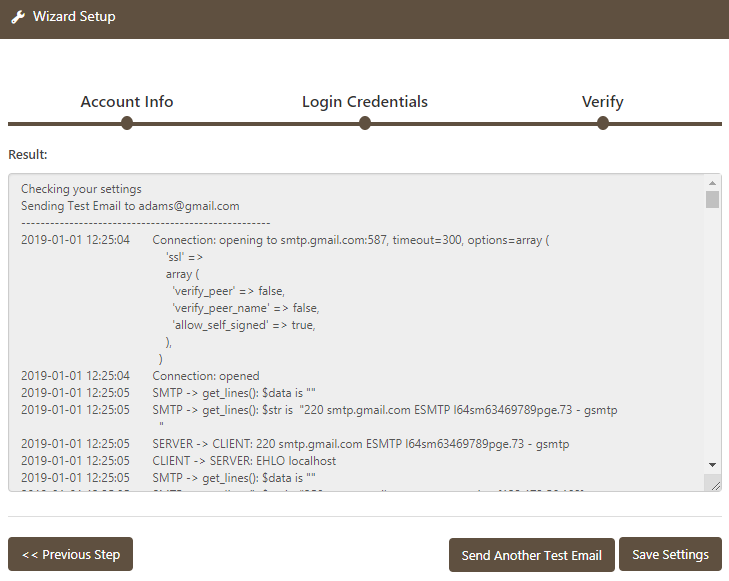 Get the most secure and convenient way to authenticate your Emails.